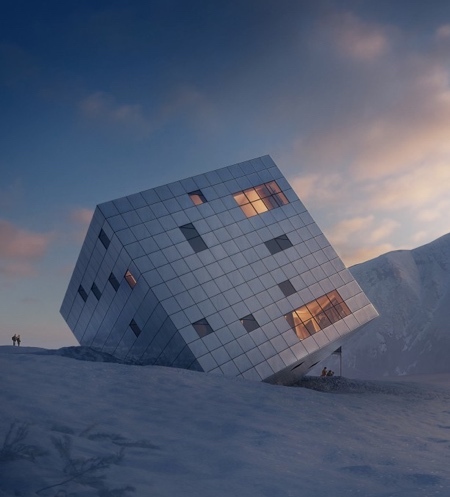 Unique cube shaped house in beautiful High Tatra mountains in Slovakia. 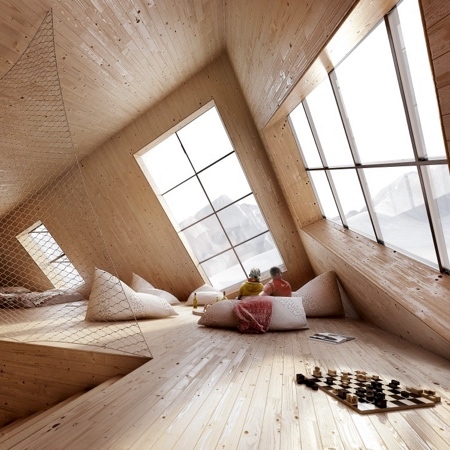 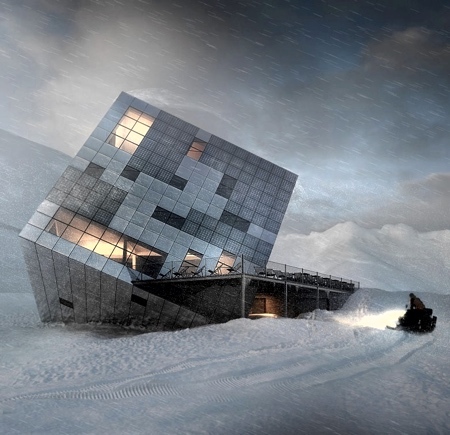 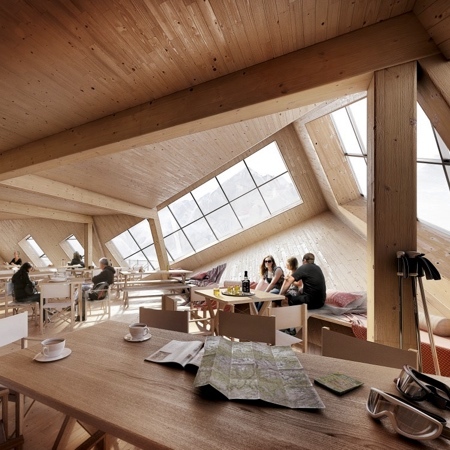 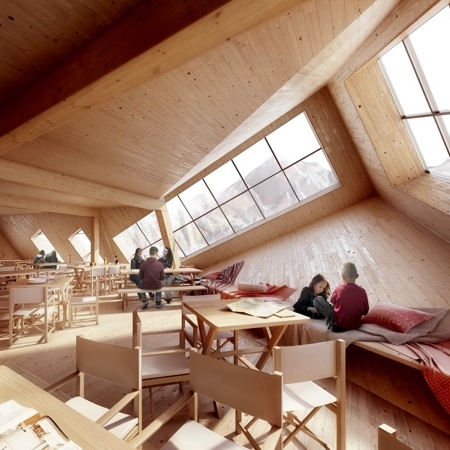 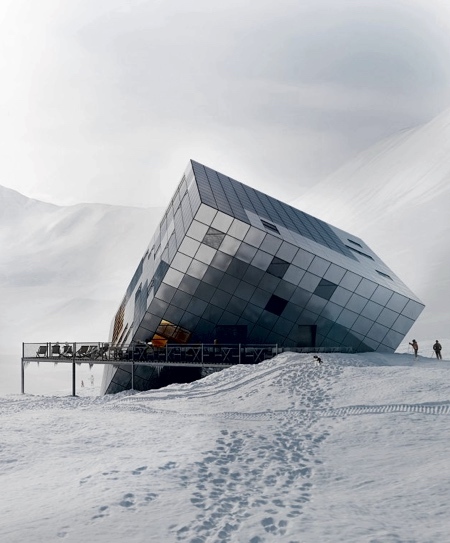 “Kezmarska Hut” – ice cube house concept designed by Atelier 8000. 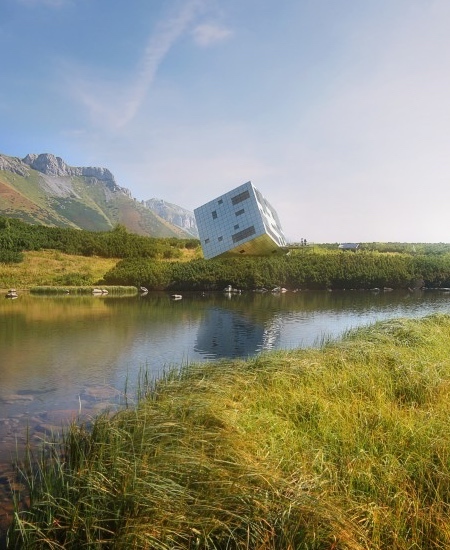 Sharp edges of the house merge into the outline of mountain peaks and naturally blend into the landscape.